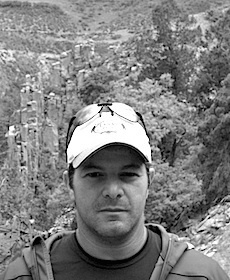 IAN SANDERS is Co-Founder and Principal. Since Fifteen Group’s inception he has focused on the overall strategic direction and operation of the organization. From its distinguished roots as an astute aggregator in the working-class multifamily sector, where Fifteen Group was a pioneer in bringing institutional capital on a national level, Fifteen Group has emerged as a best in breed opportunistic real estate investor across multiple property types, geographic markets and investment cycles. Fifteen Group's current transactions range from simple property acquisitions to acquisitions of distressed debt, complex land entitlements, land development and vertical development, and include investment in multifamily, for-sale housing, retail, urban infill development, office and industrial properties and raw land. Ian currently focuses predominantly on new real estate and private equity investment opportunities. He also serves as President and Director of The Fifteen Group Foundation, a philanthropic organization that focuses on empowering youth through the arts, athletics, and education. Ian co-founded Fifteen Group in 1992 shortly after graduating from Northwestern, where he received a Bachelor of Arts degree in History. Ian resides in Miami Beach, Florida and Telluride, Colorado.